Why Become a Sister Library? Denied employment rights because of defense of intellectual freedom; that is, threatened with loss of employment or discharged because of their stand for the cause of intellectual freedom, including promotion of freedom of the press, freedom of speech, the freedom of librarians to select items for their collections from all the world’s written and recorded information, and defense of privacy rights. Donate by mail by completing this form. Note: The Merritt Fund is supported solely by donations and contributions from concerned groups and individuals. Contributions to the Merritt Fund are not tax-exempt, because they are used to give direct aid to individuals without reference to Internal Revenue Service requirements regarding tax-exempt organizations. Hence, contributions do not qualify as personal tax deductions for donors. Applications for assistance are strictly confidential, as are the identities of grant recipients. The Merritt Fund trustees ask that recipients repay their grant to the Merritt Fund at such point that their financial situation allows them to do so. This way, the Merritt Fund is able to continue to help librarians in need despite limited resources. Steve Norman, Director of Belfast Free Library, Belfast, ME. Julia Warga, Director for Research and Instruction at Kenyon College, Gambier, OH. Who Was LeRoy C. Merritt? Dr. Merritt, who died in 1970, was one of the library profession’s staunchest opponents of censorship and one of its most vigorous defenders of intellectual freedom. Graduated from the University of Wisconsin in 1935 with a B.A. and a certificate in librarianship, Dr. Merritt received a Ph.D. in librarianship from the University of Chicago in 1942. His diversified career included working at the Milwaukee Public Library, serving as a librarian at Longwood College, and participating in a Special Services project for the Armed Forces during the Second World War, From 1946 until 1966, Dr. Merritt served on the staff of the University of California School of Librarianship at Berkeley. He was appointed Dean of the School of Librarianship of the University of Oregon in Eugene in 1966. 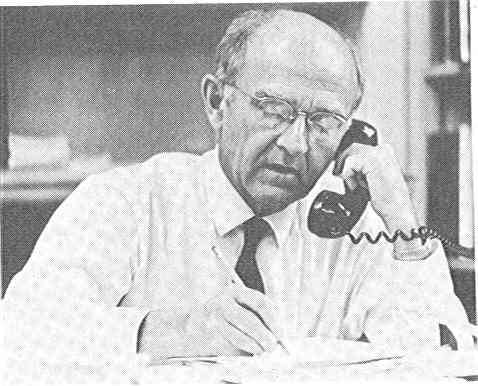 Dr. Merritt published many articles on intellectual freedom and was perhaps best known to fellow-censorship foes for his editorship of the American Library Association’s Newsletter on Intellectual Freedom, which post he held from 1962 until 1970. In 1970 H.W. Wilson published his book, Book Selection and Intellectual Freedom. For his outstanding accomplishments in the field, Dr. Merritt was selected in 1969 as the first recipient of the Robert B. Downs Intellectual Freedom Award. True to his principles, he immediately forwarded the entire cash award of $500.00 to the Freedom to Read Foundation, becoming the Foundation’s first benefactor. Dr. Merritt also served as chair of the California Library Association Intellectual Freedom Committee and as a member of the ALA Intellectual Freedom Committee (1959–65). "Merritt Fund Aids a Colleague in Distress" American Libraries. 2012. "Carol Brey-Casiano Tells a Patriot Act Story" American Libraries. 2010. "Merritt to the Rescue" Interview with Mimi Davis by Melora Ranney. Every three years, the Merritt Fund produces a report to allow supporters to learn more about the finances of the Fund, the size of the membership, and the grants given (while keeping personally identifiable information private).